Dr. Gentral Johnson is a 2005 graduate of Northwestern Health Sciences University in Bloomington, Minnesota. She has a Bachelor of Science Degree in Human Biology and Doctorate in Chiropractic. She is Board Certified by the National Board of Chiropractic Examiners, and has been licensed to practice by the State Board of Chiropractors in Minnesota and Georgia. Dr. Johnson grew up in Minneapolis, MN. 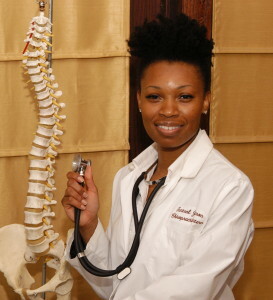 After obtaining her degree as Doctor of Chiropractic she began providing chiropractic care in Atlanta, Georgia, where she has practiced for half a decade before relocating back to Minneapolis to continue promoting natural health care and a healthy lifestyle/living to the community in which she grew up, with a fresh perspective of healing. Dr. Johnson is committed to help you to accelerate and/or maintain your journey to good health.